Samveet Sahoo is a Manager in Digital Financial Services domain of MSC India, focussed in Payments and Distribution. He has close to seven years’ of experience in business strategy, client management, new product development and stakeholder engagement in the financial services sector spanning across digital financial solutions to rural and inclusive banking. Samveet Sahoo is a Manager in Digital Financial Services domain of MSC India, focussed in Payments and Distribution. He has close to seven years’ of experience in business strategy, client management, new product development and stakeholder engagement in the financial services sector spanning across digital financial solutions to rural and inclusive banking. 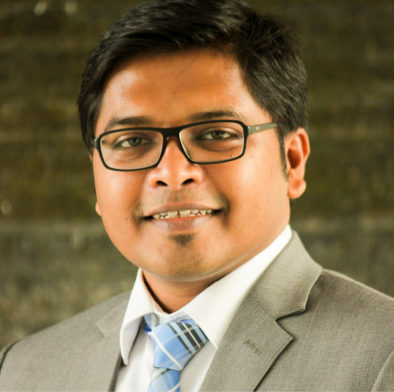 He has worked on projects with banks, mobile network operators (MNOs), agent network managers (ANMs), microfinance institutions (MFIs), fintechs, regulators and governments in Bangladesh, India and Liberia. He is currently assigned the role of country programme manager for MetLife’s I3 programme. His areas of expertise include: project management, customer experience mapping, strategy and product development, user-interface evaluation, product evaluation, institutional assessments and risk analysis, market research, channel design, process re-engineering, pilot testing and support to roll-out, monitoring and evaluation and developing analytical frameworks and policy analysis. This report aims to catalyse the financial inclusion of financially underserved Bangladeshi women through improved MFS adoption. MicroSave has been working with NPCI and leading Public Sector Banks to create a less-cash ecosystem in select villages across the country. This highlights the lessons learnt during the intervention and highlights the key steps involved. This NPCI initiative brings insights on the digital transformation journey that the organization has undertaken to enable panchayats across the country, and encourage active and sustaining village level participation. Is ‘Cashless’ the Road Ahead towards Digital India? This case-study will provide you a sneak-peek to the journey of the creation of the first “cashless” panchayat in Odisha.